While probably the biggest piece of health care related legislation to come from the 2012 Unicameral Session was LB599, the low-income prenatal care program bill, other health care related legislation was also passed. identification and recovery of claims that were the result of accident or neglect and payable to a casualty insurer. 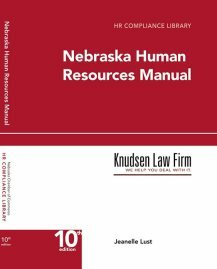 LB1083 clarifies permitted practices under the Nebraska Nurse Practitioner Act as well as clarifies that licensed nurses may be hired to provide home health care to family members and friends. LB788 changes the current state statute to reflect changes in the standards adopted by the federal government and the Centers for Medicare and Medicaid Services by expanding the ability to order respiratory therapy beyond a licensed physician to include a licensed physician assistant, a nurse practitioner and a certified registered nurse anesthetists.